Both BJP and BJD claim to be fighting the battle on the development front but people allege that basic issues are not high up on the agenda of either party. Aska: Chief minister and Biju Janata Dal (BJD) president, Naveen Patnaik had announced the name of 68-year-old self help group (SHG) leader, Pramila Bisoi as his party’s candidate for the Aska Lok Sabha seat with a sense of pride, projecting her as the symbol of women empowerment. The announcement may have earned Patnaik political brownie points but the hype surrounding this typical Ganjam matriarch seems rather artificial as one travels through the constituency. She is certainly not the household name that she is supposed to be here. Her presence on party posters and banners notwithstanding her name does not ring a bell. “I don’t remember having heard of her ever before. In any case I haven’t seen her yet,” says home-maker and SHG activist, A. Rani Patra at Kabisurya Nagar. The mention of her name draws blank stares from college going girls in the town. But BJD need not bother about this for irrespective of whether people recognise Pramila or not the party’s conch symbol remains their favourite. “ This is shankh kshetra ( the region of conch),” quips Bipin Nahak in Khallikote market. This farmer from Shyamsunderpur, about 10 kms from Khallikote town, raves and rants against the state government for not having released even the first instalment of money under its Krushak Assistance for Livelihood and Income Augmentation (KALIA) scheme but would still vote for Patnaik’s party because it has done the most for the people. He points to the Aahar centre, across the road from the saloon where he is having a shave, and the people standing there in a queue there for meals costing just Rs.5.“ Can you imagine having a meal at that price? Naveen Babu has done a lot for us,” says Nahak. The people here also take pride in the fact that Ganjam happens to be the home district of the chief minister and that he was their MP thrice, winning the seat for the first time in 1997 in a by-election following the death of his father, legendary Biju Patnaik. 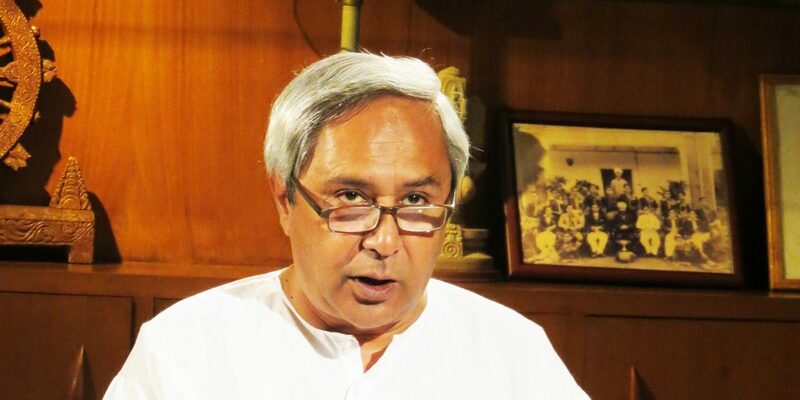 For them this battle is for Patnaik’s prestige irrespective of who the BJD candidate is. That being the prevailing sentiment issues like absence of large irrigation projects in the constituency, erratic pipe water supply and the crying need to modernise the Aska cooperative sugar factory at Nuagaon have taken a back seat. “ It is unfortunate that people are not talking about real issues. No one is even mentioning the need to modernise the sugar factory on which a large number of farmers depend for survival” says veteran, Ramesh Chandra Padhi who has been closely watching the politics of the region. The young Congress-supported CPI candidate, Ramkrushna Panda has been trying to raise these issues but without much success as the party’s support base in the constituency, which had elected party veteran, Duti Krushna Panda in 1971 (it was then known as Bhanjanagar seat), has shrunk over the years. Eversince Biju Patnaik was elected from here in 1996 on Janata Dal ticket it has been a socialist bastion with BJD winning it consistently since 1998 ( Naveen had won the Lok Sabha bye-election from here in 1997 on Janata Dal ticket). The BJP, which has fielded young Anita Priyadarshini, the daughter of former minister, Ramkrushna Patnaik, is banking chiefly on Prime Minister, Narendra Modi’s image in the wake of Balakot airstrike which is being discussed by a section of people. The party is also trying to make an issue of large-scale migration of people from Ganjam to places like Surat in Gujrat. “ People migrate because they don’t have enough jobs here. In Surat they work under sweatshop conditions but who bothers?” says BJP leader, Santosh Palai at Aska. Such issues notwithstanding the battle here ultimately boils down to the issue of chief minister’s prestige and the voters seem inclined to favour his party yet again. In Bolangir, on the other hand, a thrilling battle seems to be on the cards with BJD’s Kalikesh Singh Deo, the scion of the local royal family once again locking horns with his sister-in-law and BJP stalwart, Sangeeta Singh Deo. While Kalikesh won the seat in 2009 and 2014 Sangeeta was the MP from the constituency thrice before that. Congress has fielded young Samarendra Mishra, son of former minister, Narasingha Mishra who is himself contesting the Bolangir assembly seat. However, Samarendra, the greenhorn that he is, seems ill-prepared for this high voltage contest. He is also lagging behind in campaigning. Both BJP and BJD claim to be fighting the battle on the development agenda but people allege that basic issues like lack of irrigation, annual migration of labour from the district and establishment of a High Court bench in the region are not high on the agenda of either party. Nearly 30,000 people migrate from this drought-prone district annually to other states in search of work and return, more often than not, with horror stories of exploitation at the hands of their employers in Andhra Pradesh, Telengana and such other states. “Most of them migrate from Bongomunda and Tureikela blocks. Nobody bothers about their plight,” says local journalist, Shankar Prasad Mishra. Bolangir is also bereft of major industries and major irrigation schemes, the two main factors behind migration of labour to other states. While the only sugar factory in the district at Deogaon is lying closed the Lower Suktel irrigation project that would have irrigated large parts of Bolangir and neighbouring Sonepur district has been making indifferent progress following an agitation by the affected people demanding adequate compensation.“ We are not opposed to the project but we must be compensated properly,” says Lower Suktel Sangharsha Samiti leader, Sanjay Gadtiya. Lawyers in Bolangir are angry as they don’t find major political parties putting enough pressure on the state government to concede their demand for a separate High Court bench in the district. “ The issue is not being given due importance by major parties,” says senior advocate, Aman Nag. With Congress becoming a marginal player in the Lok Sabha contest the two royals are going to fight it out here. “It is also an image battle between Prime Minister, Narendra Modi and chief minister, Naveen Patnaik. Both are popular, the Prime Minster’s stature having gone up in the wake of Balakot airstrike. It is going to be tough contest,” says journalist, Shankar Prasad Mishra.